Light on phone can be set as night light. 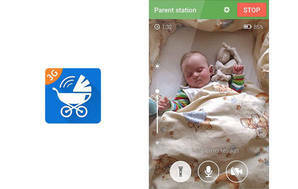 Requires 2 phones or tablets to act as parent/child units. Stand required for baby unit phone or tablet.